Also see the technology tree for building dependencies. On the surface the pressure fence provides a safe environment to start any further construction. 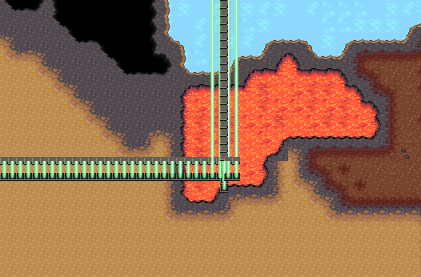 Additionally, an energy dome is powered by the fence posts. These two components provide the skeleton for any colony. Place at least one oxygen generator within the fenced perimeter to create a lifeable climate. 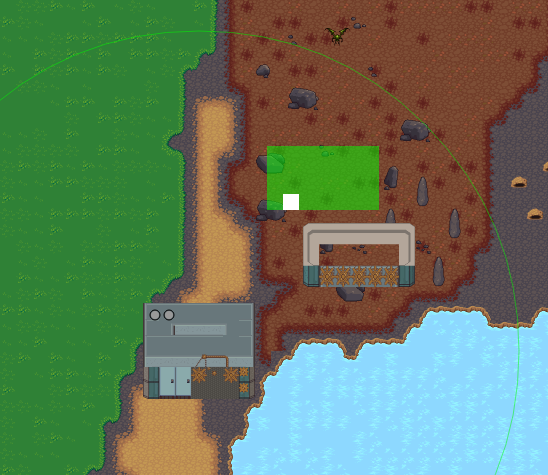 The more colonists and buildings a colony has, the more oxygen generators you will need. Provide enough Habitats; every colonist needs a place to relax and sleep. Keep the oxygen level above 80% for maximum productivity. Without a cantine your workers will starve or go back underground. A colonist follows a daily schedule which allots some time for working, eating and relaxing. If a vital task such as eating or relaxing is skipped the colonist will skip this task (which can have grave consequences). Basic buildings are built and repaired with stone. You should watch out and never run out of stone. Stone blocks are produced by the stone processing building. A processing building can have a maximum of two stone collectors attached, which provide raw stone debris to the processing building. So you need at least one stone collector at a processing building to produce stone. Each building type has a certain number of workplaces which shows you how many colonists can work (or use) this building at the same time. 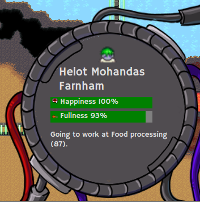 For example, every cantine has three slots so a maximum of three colonists can eat there at once. Some buildings must be built on a particular type of ground (e.g. Greenouses must be built on grassy ground). Other buildings must be built within the radius of another building; one such building is the Greenhouse which must be close to a Food Processing plant where it automatically delivers its nutrition to. When trying to place a building, the placement cursor will turn green when you can place the building here and the cursor will turn red when a requirement is not fullfilled. A build green cursor shows that all build requirements are fullfilled. All buildings accumulate damage over time. The more a building is used, the faster it will show signs of teardown. Buildings with high damage have a lower efficiency and will, for example if the building is a production building, produces less or slower. A repairbot can be operated from a repair service building to counter this. Ever production building has an output storage where it stores the produced output. When the output storage is full, the building will stop functioning. Resources in the output storage of a building are gathered by workers from a storage building. Flying mutants might cross the fence and attack a building, damaging it and rendering it completely unusable while the attack is in progress. The Authority building can deploy a mechanical warrior to fight any attackers within the dome.